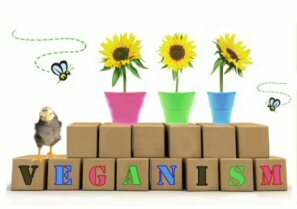 Veganism is a philosophy and lifestyle that seeks to exclude the use of animals and animal bi-products for food, clothing and all other purposes. Veganism is a natural extension of vegetarianism. While vegetarians avoid flesh foods, vegans take it a step further and don't consume any animal products at all. 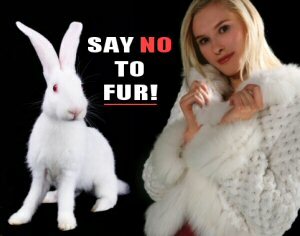 They also don't wear or use fur, leather, wool, silk, down or any other products made or derived from animals. Vegans don't buy or use cosmetics, toiletries or cleaning products that have been tested on animals and they do not support other forms of animal exploitation, including blood sports, zoos, circuses using animals, and dog and horse racing. Issues relating to the consumption of animal products are explored in more detail under the following main menu sections: Animals, Health, Nutrition, Environment and World Famine, but other issues are broken down below with a brief introduction. Further information can be found by visiting the links at the end of each section. 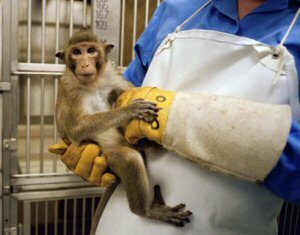 The UK Government annual statistics revealed in 2005 that over 2.8 million animals suffered and died in British laboratories in experiments that "may have caused pain, suffering, distress and lasting harm" (experiments that are considered unlikely to cause pain do not need to be licensed and are therefore not included in the annual statistics). An estimated additional 8 million animals were bred and then destroyed as surplus to requirements. Many alternatives to the use of live animals exist in research but humane science is under funded and there is a general lack of awareness surrounding the subject. Besides saving countless animal lives, alternatives to animal tests are efficient and reliable. Unlike crude, archaic animal tests, non-animal methods usually take less time to complete, cost only a fraction of what the animal experiments they replace cost, and are not plagued with species differences that make extrapolation difficult or impossible. The fur industry refers to the farming or trapping of certain animals for their fur, the processing of their skins so that they can be sold to those who make fur products and the selling the finished products to shops. Millions of fur-bearing animals are killed each year on fur farms. The animals include: foxes, raccoons, minks, beavers and lynxes. In China large numbers of cats and dogs are also slaughtered for their skins. On the farms the animals are kept in tiny wire mesh cages. Such is their frustration that they become psychotic and many are driven to cannibalism and self-mutilation. Animals on fur farms are killed by a variety of methods such as gassing, electrocution, poisoning with strychnine, or having their necks snapped. These methods are often not 100 percent effective and many animals remain alive and fully conscious while they are being skinned. In addition every year some 10 million animals are trapped in the wild for their fur, caught by leghold traps, body grip traps (Conibear trap) and wire snares. 88 countries have banned the use of the leghold trap because of its cruelty. Banned in England and Wales since 1958 the leghold trap is a barbaric device. These steel traps work by clamping the animals' leg, biting deep into the flesh. The victims may have to wait a long time, growing weaker and weaker through pain and attempts to escape, before the trapper returns to kill them. Bullets are not used to kill, as this would damage the pelt. Instead, the animal will be clubbed or suffocated. Many chew their legs off in a vain attempt to escape the suffering. Britain banned fur farming on humane grounds yet members of the British Fur Trade Association turn over £500 million a year as the world's largest buyers of pelts. As fur may move through several countries before ending up in the shops, the final product label may simply read, 'Made in Italy' or 'Made in France' disguising the garment's inhumane source. Leather: Over one billion animals are killed a year for their skins which are tanned and made into leather products. The leather trade makes around half of all profits generated by slaughterhouses and many animals are bred specifically for their skins. Cattle, sheep, goats and pigs are among some of the animals kept in extreme confinement for leather production but other species are also hunted and killed for their skins including deer, wild boar, kangaroos, water buffalo, alligators, elephants, sharks, dolphins, seals, walruses, crocodiles, lizards and snakes. In India, cattle are forced to march hundreds of miles without any food or water. Those that tire have tobacco and chilli power rubbed into their eyes or their tail bones broken. Once they reach their destination they are slaughtered, often being hacked to death or skinned alive. Calfskin leather, used for car seats, sofas etc. 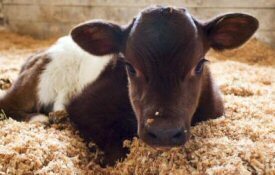 comes from the unwanted offspring of dairy cows, slaughtered for their skins at birth. Suede is made using the underside of an animals skin. The most commonly used animals are lamb, cattle, goat, pig and deer. Wool: Wool production is unavoidably linked to the meat industry. Sheep are farmed for both their wool and their meat. 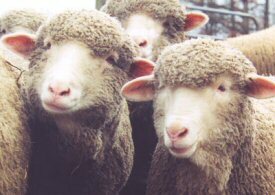 Australia is the world's biggest producer of wool where the most commonly raised sheep are specifically bred to have wrinkly skin, which means more wool per animal. This unnatural overload of wool causes many sheep to collapse and even die of heat exhaustion during hot months, and the wrinkles collect urine and moisture. Attracted to the moisture, flies lay eggs in the folds of skin, and the hatched maggots can eat the sheep alive. To prevent this so-called "flystrike," Australian ranchers perform a barbaric operation-called "mulesing" where they force live sheep onto their backs, restrain their legs between metal bars, and, without any painkillers whatsoever, slice chunks of flesh from around their tail area. This is done to cause smooth, scarred skin that can't harbor fly eggs. Ironically, the exposed, bloody wounds themselves often get flystrike before they heal. Silk: Millions of silkworms are killed each year for the silk industry. Silk is the name given to a soft fabric made from the fine thread produced by certain moths. Most silkworms are killed while fully conscious inside their cocoons. Commonly, moths are placed in scalding water and boiled alive. The moth is conscious throughout this process, no pain relief is provided. Hundreds of silkworms are killed for just one silk scarf or tie. Feathers/Down: Feathers and down from geese and ducks are used in the clothing and household linen industries, for example in coats and jackets, pillows and duvets. The most valuable product is the down, which is obtained from the breast area, followed by the fine feathers. Most commercial products contain a blend of both down and feathers; the higher the proportion of down, the higher the value of the product. Feathers and down can be removed after birds have been slaughtered. However, in some countries feathers are also collected, cruelly, from live birds. 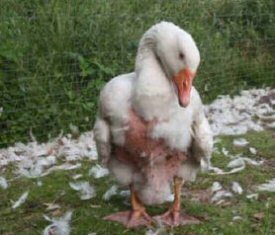 Live plucking, which is extremely painful and distressing, is more common in geese than in ducks and may be performed several times during the bird's life. There are many cruelty-free alternatives to wearing animal skin, with lots of clothing being made from natural fabrics such as cotton, linen or hemp, and also manmade materials such as polyester, acrylic or nylon. Synthetic leather, known as "pleather" is gaining popularity and is widely available, plus there are shoes and boots these days which are made from a Microfibre material which is 'breathable' like leather. Circuses: Animals don't want to ride bicycles, stand on their heads, balance on balls, or jump through rings of fire. Sadly, they have no choice. 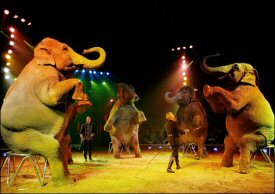 Circus trainers use abusive tools, like whips and electric prods, and force them to perform. Not only are elephants, bears, tigers, and other animals abused by trainers, they suffer from extreme loneliness, boredom, and frustration from being locked in tiny cages or chains month after month, city after city. Instead of being treated like furniture, constantly being loaded and unloaded into trucks and storage areas, these animals should be in their natural habitat, exploring, seeking mates, and raising families. Zoos: Zoo animals similarly suffer hugely as a consequence of their captivity. Many zoos operate under a false pretence of "conservation"; they claim that keeping the animals is helping their numbers in the wild. This is far from the truth. Many zoo animals have been taken from the wild in the first place but rather than get released back into the wild after breeding programmes they remain in captivity until the day they die. In all zoos stereotypic/repetitive behaviour is commonplace (ie: behavioural disturbances, including pacing, head-bobbing, rocking, swaying, bar-biting, pulling out hair and feathers, and self-inflicted wounds). 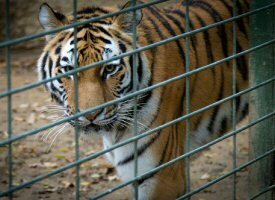 Animals are often kept in unsuitable habitats in enclosures that are too small or poorly designed. 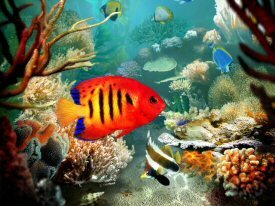 Aquariums: Aquariums are another example of cruel exploitation and are the cause of worries about the diminishing numbers of fish in coral reefs. Most public aquaria only exist because of the trade in animals removed from the wild. In some cases welfare problems in aquaria are so great that many animals die soon after being put on display, to be soon replaced by yet more wild-caught individuals. Racing is another example of human abuse of animals merely for entertainment and pleasure, regardless of the needs or condition of the animals. 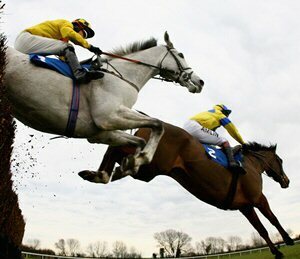 For horses, especially, the track itself poses dangers - falls and fractures are common in both flat and jump races. Often, lame horses are doped to allow them to continue to race, with the risk of serious injury. And at the end of it all, if the animal is not a success, or does not perform as brilliantly as hoped, it is disposed of. While some of the top dogs and horses may be kept in good conditions, for the majority of animals this is not the case. Tens of thousands of dogs are disposed of every year by the British greyhound racing industry - because they fail to make the grade as racers or when their racing days are over. Hunting: On February 18th 2005 the Hunting Act came into force and made it an offence to hunt foxes with hounds. 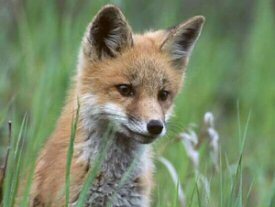 The legislation does not ban the killing of foxes, but what it does ban is the cruel method used for some of the killings. In England and Wales it is an offence to hunt a wild mammal (including a fox, regardless of whether it lives in the wild, is captive born or tamed) with dogs. Hare hunting was also made illegal under the same act as was all three types of deer hunting with dogs (stags, spring stags and hinds). There remain many exemptions to the ban on hunting however and these are providing a number of loopholes to the hunting community. Consequently the Countryside Alliance recently announced that "Support for hunts remains solid and the infrastructure of hunting - staff, hounds, kennels - remains intact." Snaring: Many people think that snares are already illegal. Unbelievably, some types of snares are still legal in the UK. Snares are thin wire garrottes commonly used by gamekeepers to catch the foxes that are naturally drawn to the artificially elevated numbers of gamebirds in shooting woods. Snares are also set to catch rabbits. These crude devices can inflict terrible cruelty and suffering on any animals unlucky enough to be trapped in them. They are totally indiscriminate and often catch protected animals, such as badgers and otters, as well as domestic pets and livestock. Shooting: There are currently 2000 estates and farms in the UK involved in the rearing and shooting of gamebirds. Under the Game Act 1831 it is unlawful for game to be taken or killed on Sundays and Christmas Day. However, even this brief respite may soon be over as the Government has launched its consultation to consider the removal of these restrictions. 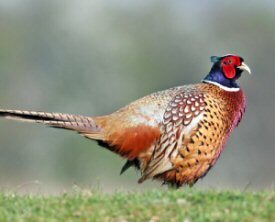 If the restrictions are removed shooters will be able to kill birds for 'sport' seven days a week.